Gatsby is all the rage right now. It is a blazing fast React-based static site generator and has won the hearts of many. 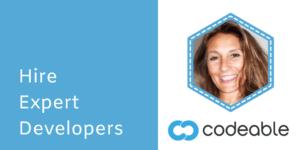 Developers and end-users love the experience it brings. Gatsby sites still need to get their content from somewhere though. There are many Gatsby source plugins that allow you to source content from various formats ranging from markdown files, to data managed in a CMS such as WordPress. In this article, we will use WordPress, the Open Source Content Management System that powers a third of the web, as our source of content for a Gatsby site. Typically WordPress is used for managing content and rendering that content in a WordPress theme. We are going to use WordPress to manage the content, but use Gatsby to render it. This allows us to take advantage of the speed and security benefits of Gatsby and the power, familiarity and customizability of WordPress as the CMS. Gatsby, similar to WordPress, has its own plugins, with which you can extend Gatsby a great deal. For example, you can have support for SASS to style the site, Apollo GraphQL for fetching dynamic data, Google Analytics tracking and Algolia search. Gatsby has introduced themes this year and I couldn’t be more excited. With the launch of themes, Gatsby is poised to give other static site generators sleepless nights. With themes in Gatsby, you can essentially add styling as just another npm module. You define a single theme or an array of themes within your site’s `gatsby-config.js` file and then get a beautiful site with almost zero effort. Gatsby also has support for parent/child themes for you to extend a theme and add customizations, similar to WordPress but more advanced. Gatsby themes allow you to focus only on the parts of the site and app building process that you need to care about by abstracting the rest away into a package. With the introduction of themes, you can now create a site composed of content in Markdown files or content from a CMS, for example. All the heavy-lifting such as sourcing and transformation of the content can be concealed within the parent or child theme. This is great news for developers and agencies who do not have tech-savvy clients. Just install a Gatsby theme and let content creators create. The best part is, you can have a site which has a Blog, Docs and eCommerce and have three different themes with a common color scheme – what a bonus! Educator Zac Gordon, has built a team to work on Gatsby themes for WordPress at GatsbyWPThemes.com. As part of the project, we are converting popular WordPress Themes, in cooperation with their creators, into Gatsby themes. We have learned a lot from this project, and the rest of this write-up is about how we ported the popular Twenty Nineteen WordPress Theme over to Gatsby and how you too can create your own Gatsby themes. You can see a demo of the Twenty Nineteen Gatsby Theme in action here. Note: This has no connection to WordPress themes except for getting their styles. You don’t have to create these themes within your WordPress site’s `wp-content/themes` directory. It is a completely separate set up. You will need node and npm to follow along with this tutorial. This is the official site to download node on your computer. With that out of the way, let’s get started. I’m initializing the repository the way Jason Lengstorf and John Otander do it on their livestream. Follow the prompts and enter the details, while each time pressing the enter key (what you enter won’t matter since it will be replaced in a moment). This command will create a package.json file inside a given directory. It is essentially a way to initialize a folder to act as an npm (node package manager) module so that it can be packaged later on. Then we will use that to create a new yarn workspace, so that we can start building the theme as a package and then have another directory for the end user’s site. Workspaces allow you to setup multiple packages in such a way that you only need to run yarn install once to install all of them in a single pass. 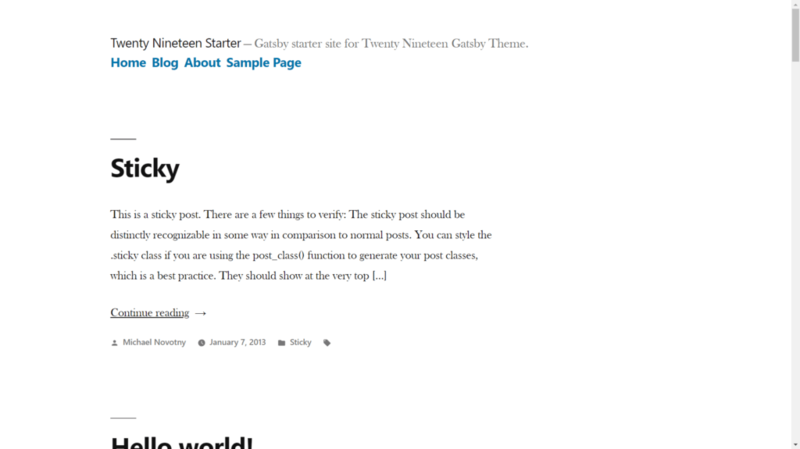 `starter` refers to the Gatsby starter site and `packages` will contain our theme. Navigate to the starter directory and `npm init` within it. "test": "echo \"Write tests! -> https://gatsby.app/unit-testing\""
The scripts will allow us to spin up a Gatsby development server or build the Gatsby site. Notice the new dependency in the list “gatsby-theme-twentynineteen”. We will create it next. Next, head over to the `packages` folder and create a new directory naming it `gatsby-theme-twentynineteen`. Enter this directory and `npm init` within it, just like before. The best way (according to John Otander) to have Gatsby, React and ReactDOM together is to install them as a development dependency and a peer dependency. Now, navigate to the root folder (twentynineteen-gatsby-theme) and run the command `yarn`. This will install all dependencies needed for our workspace, since we did not use the `yarn install` command before. So, how do we manage the dependencies for the theme and starter? The best way is to create the theme as a dependency for the starter. You would have already done that if you followed the instructions mentioned above. We are passing the WordPress site’s URL as an option to the theme, which we will access later. Also, the siteMetaData will be useful later on. You can continue developing a Gatsby Theme within the theme folder. Since walking through the process of building an entire theme (e.g. Twenty Nineteen Gatsby Theme) will be too long for a tutorial, we will clone the project and look at how the project was built by examining its files and folders. The Twenty Nineteen Gatsby Theme project just finished V1 and is hosted on GitHub (https://github.com/zgordon/twentynineteen-gatsby-theme). We will first clone it to our localhost and try running it. You can now open the `twentynineteen-gatsby-theme` directory with your favorite code editor. What follows is an explanation of the code in the project and the reasons for doing things the way we did it. Gatsby has APIs for creating static pages out of content fetched remotely. For this example we fetched data from a WordPress backend via GraphQL. To be precise, we used the WPGraphQL plugin created by the brilliant Jason Bahl, who also worked with us on this project. To those who are unfamiliar with GraphQL, it is a way of fetching data from an endpoint and may replace REST APIs in the near future. It creates a schema of your backend data in a graph-like format. It will allow you to query data by only asking for the properties that you need. This is in contrast to REST API which returns all fields related to an endpoint. GraphQL will have a single endpoint and you can query data in all sorts of ways – even from multiple objects or tables. We used Gatsby’s `gatsby-source-graphql` plugin to fetch data from the WPGraphQL endpoint. For this, you should have installed WPGraphQL plugin on your WordPress site. This config fetches the option we passed to the theme from the starter site’s gatsby-config file earlier, and sets it as the url for fetching the GraphQL data. Now, Gatsby will pull in data from the endpoint and and create a stitched schema in the local build. Schema stitching is the process of creating a single GraphQL schema from multiple underlying GraphQL APIs. We can query from this static GraphQL schema, but of course we can’t mutate to it since it is not a live endpoint. The other `gatsby-plugin-sass` plugin is for telling Gatsby that we will have SASS files. We aimed to replicate the WordPress Twenty Nineteen Theme. This meant recreating all pages from the WordPress template – be it the posts index archive, single post, single page, tag archive, category archive and author archive. We had to query the data via GraphQL and create those pages statically. Gatsby has a few neat APIs to help us create static pages. All of this is done inside the `gatsby-node.js` file. To keep things tidy, we separated the static page creation into different files based on the type of page. The createPages API is part of the Node APIs that Gatsby exposes. It essentially instructs Gatsby to add pages. Within this we are calling some methods using async/await (a feature of ECMAScript 2017). All five of those functions do a similar task – create relevant static pages. Since explaining all of them is redundant, let’s look at what createPosts does. # to fetch more posts or not. # If true, we need to ask for more data. * then we iterate over them to create pages. * WordPress paginated archive page. * archive template with the appropriate path. * This is the export which Gatbsy will use to process. * to use to create pages in our static site. * Fetch posts using the GET_POSTS query and the variables passed in. * Define the path for the paginated blog page. * The IDs of the posts which were got from GraphQL. * so we can have all the data we need. * all the data on hand. * and paginated blogroll archive pages. So, we saw in the last section that we imported two templates at the top of createPosts.js. Let’s look at the files one by one! Also, there is a data.js component inside the posts folder. This has a GraphQL fragment which is used when creating the static pages in createPosts file. These two modules are installed and configured in `gatsby-config.js` as shown before. As soon as I copied the scss files, I saw some errors when I ran `yarn workspace starter develop`. After some troubleshooting, it turned out the issue was with using vw units as value for the flex property. And everything started working as expected. If your menu location name is something other than Primary (MENU_1), you might have to change the GraphQL query within components/menu.js to match yours. Use the GraphiQL IDE to get the identifier of your menu location. If you are using StaticQuery within the theme, your theme folder (the one within packages directory) name and package name should start with `gatsby-theme-`. Otherwise StaticQuery component will not render. Chris Biscardi is working on a PR to remove this restriction. Thanks for reading this far. We did not cover line by line all of the JSX and templates, however we covered the aspects of getting started on building a theme. Hopefully this is enough for you to get going playing around with this theme or even building your own! 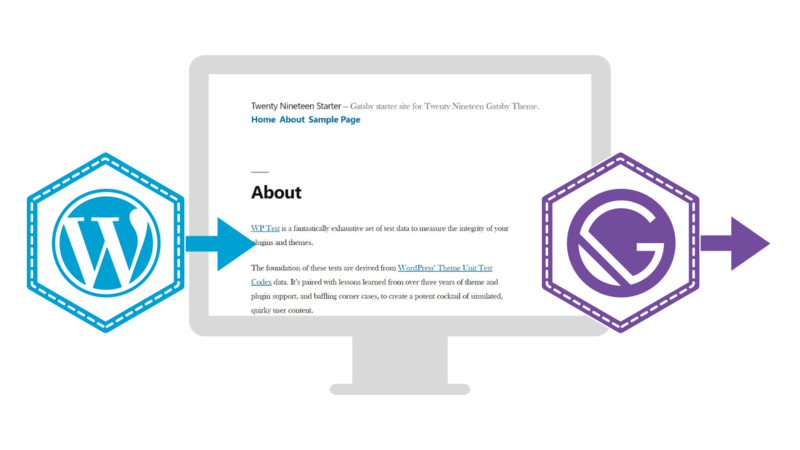 WordPress has seen a beautiful journey from the days theme development relied on PHP and the template hierarchy, to today, with Gatsby arriving on the scene. 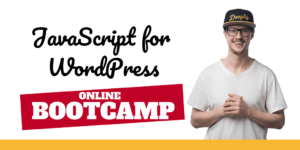 Now is a great time to jump in to the WordPress-Gatsby world and see the magic for yourself. Do join us on this journey, and let us know your feedback. Muhammad is a Full Stack Engineer and consultant who has been working with WordPress and React for over three years. He is the Lead Developer of the GatsbyWPThemes project. He is also a writer and expert reviewer at Smashing Magazine. You can check out his website muhammad.dev and follow him on Twitter @muhsinlk.